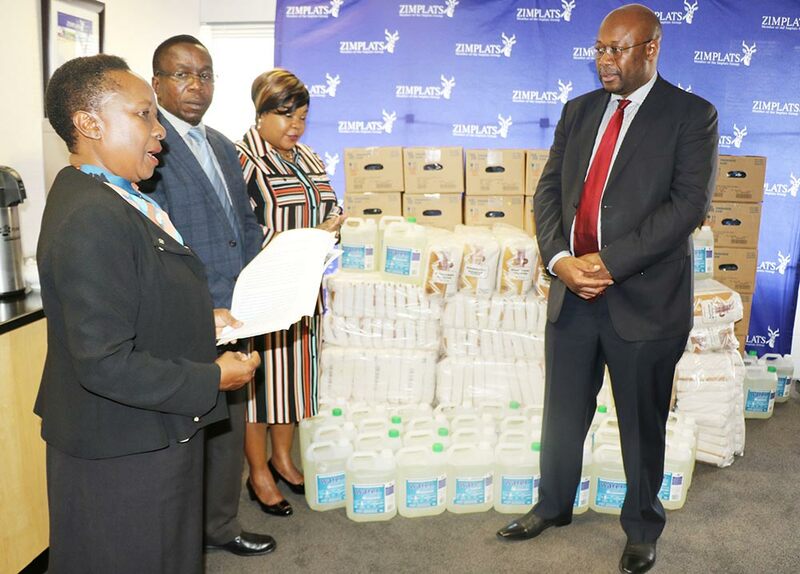 On 26 March 2019, Zimplats joined the rest of the Zimbabwean community in donating materials which are expected to bring relief to the families affected by Cyclone Idai. The handover ceremony was attended by the Minister of Mines and Mining Development, Honourable Winston Chitando, the Minister of State Provincial Affairs for Mashonaland West, Honourable Mary Mliswa-Chikoka and the Principal Director in the Ministry of Local Government, Public Works and National Housing. In her opening remarks, Honourable Mary-Mliswa Chikoka took a moment to console families affected by Cyclone Idai. She also went on to acknowledge the rapid manner in which Zimplats provides assistance in the province especially during difficult times. Honourable Winston Chitando responded by acknowledging the importance of corporate social responsibility and how the assistance offered by Zimplats goes a long way in changing lives. Zimbabwe experienced torrential rainfall from 15 to 17 March 2019 caused by a tropical cyclone named Cyclone Idai. Cyclone Idai caused high winds and heavy rainfall in the Eastern Highlands and the South East of Zimbabwe. The cyclone caused riverine and flash flooding, and subsequent deaths, and destruction of community livelihoods and property. The Government of Zimbabwe has appealed for humanitarian assistance from international aid agencies and from the business community in Zimbabwe. The response from the business community has been commendable. Speaking on behalf of the Zimplats CEO, Mr. Stanley Segula highlighted that as Zimplats, we realise and acknowledge our development partnership role with the Government of Zimbabwe. The company has honoured part of the pledge and handed over materials valued at $140,000. The items already handed over included food (30 tonnes of beans and Mahewu); medical equipment and consumables; fuel and water purification chemicals. Our thoughts and prayers continue to be with the affected families.